A three-day workshop specifically designed to help new accelerators get off the ground and running and dig deep into the pain points that new accelerators face. Building an Accelerator? Great idea. Let GAN help you build an accelerator in the ecosystem you call home. No one knows that better than GAN Managing Directors, which is why GAN Accelerator Workshops are available to new accelerators, both within and outside of the GAN community. These three-day events are designed to help accelerators like you get off the ground and running, find a sustainable program model that works in your ecosystem, and explore the challenges that new accelerators face. This workshop is specifically designed for accelerator leadership (individuals or teams) from all geographies, verticals, and specializations who are currently operating a new accelerator or plan to launch or restructure a new program within the next year. Tickets are $3,500 per person for an individual or $2,200 per person for a team of two. This does not include your travel and hotel accommodation, but you can reserve your stay here. One-on-one deep dive into your current accelerator model. Seven topic-driven sessions lead by GAN staff or top GAN MDs. GAN’s exclusive compilation of tools produced by accelerators, for accelerators. Comprehensive workshop notes for you to take home and reference. GAN Accelerator Workshops are specially-designed for Managing Directors and Program Managers who are building or relaunching accelerator programs. Over the course of three days, you will dig deep into the pain points that new accelerators face and unveil viable solutions from some of GAN’s most well-established programs to help identify a sustainable accelerator model that will thrive in your ecosystem. We will cover some of the most pressing structural and strategic questions facing those who are building accelerators. Get to know other workshop attendees, work as a group to address challenges brought forth by individual participants, and have fun doing it. Leave with actionable steps to build or restructure your accelerator, connections to GAN MDs leading successful programs, comprehensive notes, and GAN’s Accelerator Guide. Accelerator workshops are meant to be enjoyable and attendees leave refreshed and ready to build a solid program. The workshop will be lead by members of the GAN team along with special guest Eric Mathews. 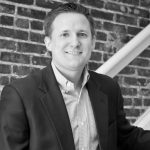 Eric Mathews is CEO and Founder of Start Co. bringing his experience in technology transfer, research and development, and business operations to lead efforts in building innovative technologies into successful businesses going to market. His core efforts are building early stage startup companies, accurately identifying gaps in the ecosystem, and filling those gaps with expert technical assistance, resources, and/or capital. Eric was formerly with the FedEx Institute of Technology, leading corporate R&D. He has been an early stage investor in startups for over 11 years. GAN Accelerator Workshops are open by application for accelerator operators. This will be a small, curated group of new or relaunching accelerator programs focused on building sustainable programs to support startups in their ecosystem. Space is limited, and we accept participants on a rolling basis. Please submit your application to attend below.